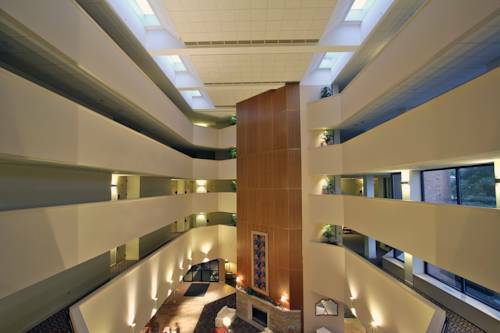 Hotel Mead is centrally located at the heart of Wisconsin. Located next to the Wisconsin River and downtown for all areas activities. All reservations require credit card guarantee due at time of booking. Room will be held till midnight at the day of check in with credit card on file. 1131 Wisconsin River Drive Port Edwards Wisconsin Phone- 715 887-3442 The Alexander House a center for art and history is a combination art gallery and historical museum located in a stately colonial home on the banks of the beautiful Wisco. 2800 Ridgewood Trail Wisconsin Rapids Wisconsin Phone- 715 423-2225 Website One of the finest golf facilities in Wisconsin. Bulls Eye overlooks the beautiful Wisconsin River. Glacial Lake Cranberries is a historic and sustainable cranberry marsh that has been in continuous operation since 1873. This family owned and operated cranberry marsh offers one-of-a-kind cranberry tours during harvest which is late-September. Golden Sands Speedway Wisconsins Premier Racing Facility located on Hwy 54 East between Wisconsin Rapids and Plover. Racing every Friday night throughout the summer featuring Super Late Models Super Stocks Pure Stocks 4-Cylinders Cruisers. Worzella Pines Park 1505 Maple Drive Plover Wisconsin Phone- 715 345-5250. Lake Arrowhead golf complex is located 13 miles south of Wisconsin Rapids and 35 miles north of Wisconsin Dells. Lake Arrowhead consists of two 18-hole championship courses The Lakes and The Pines. South Wood County Park is located 5 1/4 miles east of Wisconsin Rapids on CTH W. The park is located on 332 acres around Lake Wazeecha which is the Indian name that means lake of the land of the pines. The lake is 148 acres. 1801 16th St. South Wisconsin Rapids Wisconsin Phone- 715 422-7365. At NewPage we offer you the best quality printing papers with a broad selection of certified and recycled options for all types of printing applications. Renaissance Learning Inc. is an educational software and hardware company headquartered in Wisconsin Rapids Wisconsin USA with offices in Canada and the United Kingdom. The company is owned by Permira. Ben Hanson Park 2031 2nd Avenue South Wisconsin Rapids Wisconsin Moving tribute to all Wisconsin firefighters especially those who have fallen in the line of duty. Located in a beautiful setting on the Wisconsin River. Lighted tennis courts ice skating warming house baseball stadium football field skate park. ~28 miles from Wisconsin Rapids. ~53 miles from Wisconsin Rapids.